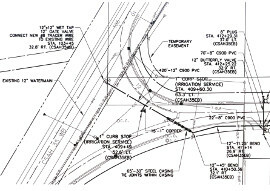 Utilities Design Leader and Design Engineers for municipal sanitary sewer and watermain improvements including a MCES interceptor and multiple PRV stations, railroad crossings, steep slopes, and trunk highway crossings. 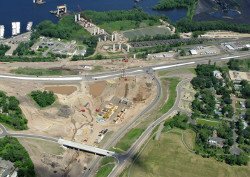 HTPO has provided land surveying, civil engineering, and landscape architecture for various MCES projects. 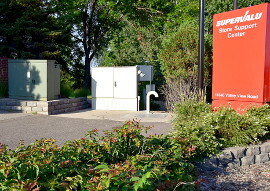 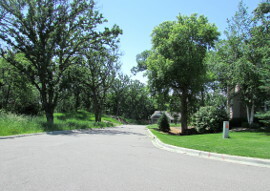 Our scope of work has included easements, traffic control, landscaping, and construction staking. 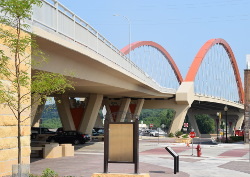 This project consisted of a feasibility report, final design, preparation of construction documents, permit applications, and cost estimates for a new street extension. 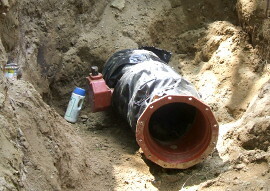 HTPO was a sub-consultant in charge of developing the existing utility base files and trunk watermain design. 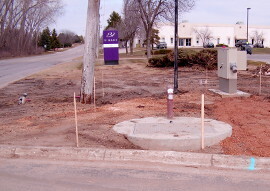 Modification and reconstruction of existing sanitary lift station including new pumps, valve manhole, reuse and lining of existing wet well, relocation of control panel, and bypass piping. 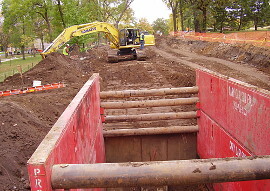 This lift station reconstruction involved several difficult challenges, including maintaining continuous sewer flow from SuperValu's large commercial complex and containing construction impacts to a very limited area along a county road. 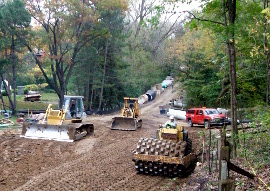 HTPO provided civil engineering, land surveying, construction management, permit applications, and cost estimate for the replacement of watermain and sanitary sewer installed by horizontal directional drilling. 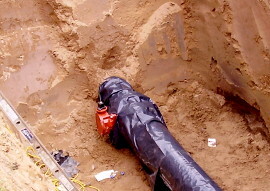 New 16” watermain installed by directional drilling to complete an important loop in the City distribution system.